In this post I put together all information needed in order to go Backpacking in Peru based on my own experience traveling the country from Lima down to Puno. Furthermore my friend and fellow adventure blogger Timo visited the northern part and shares his experience with us. Peru was the starting point of my big South America Backpacking Trip and I have to admit that this country can be quite a culture shock if you come to visit straight from the US or Europe. 1) What to expect in Peru? If you are traveling to Peru you are going to explore the traces of the inca culture with all its impressive monuments like Choquequirao or the Nazca lines. 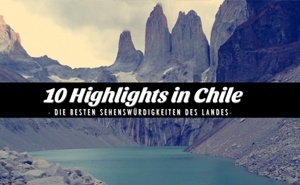 Similar to Backpacking in Chile or Argentina you’ll find many opportunities to go for some unique outdoor adventures. The Peruvian cuisine is mind blowing – especially the Ceviche you are able to enjoy in Lima is an experience you shouldn’t miss. If you are a photography enthusiast places like the Titicaca lake and of course Machu Picchu will be your playground. Despite the fact that english is spoken in touristic centers like airports, at tour agencies and in hot spots like Cusco & Machu Picchu you easily run into communication problems on the street or even at bus terminals. Peru is much tougher than the more „european countries“ like Chile and Argentina. Unlike Argentineans the locals in Peru are more distanced towards foreigners. You should also be aware of the fact that a big part of society is used to communicate in the native language Quechua (more than 24% of the population!). Peru is amongst the budget friendly countries in Latin America if you exclude Machu Picchu from your calculation. Consider that in Lima and in Cusco the prices can be much higher! I withdrew money with my german DKB credit card (a Visa card) which always worked out very well and without any costs. Make sure to always have a fallback option with you (another credit card or electronic cash card). Like no other country in South America Peru offers a big diversity in matters of food. Apart from the fish dishes which you order preferably at the coast you should try out the meat dishes and the soups. The most common dishes are: Ceviche (fresh raw fish cured in citrus juices), Aji de gallina (chicken in chili-peanut sauce), Lomo saltado (beef), cuy (guinea pig..yes, indeed) and soups. If it comes down to drinks you shouldn’t miss out on the Pisco Sour which is considered to be the national drink. Apart from that sweet sodas are very popular, especially the „Inka Cola“ which is very very sweet. Of course you can also go for beer – the Cusquena is a recommendable option. 6 months before you leave you should consult your doctor to check your vaccine as some countries in South America require special vaccinations when entering (in Peru you should have a vaccination for yellow fever). The earlier you take care of this the better as some vaccinations need a few months to have the provide protection. Flight tickets are pretty expensive compared to Europe, the most budget friendly way to get around are the long-distance buses. The buses in Peru from the big companies are mostly very comfortable and much better than in Europe, long trips are comparably cheap and enjoyable (50€ for a 22h drive). A good website for checking connections is Plataforma 10. When traveling by bus you can book different categories (Semi-Cama = half a bed, Cama = bed, Premium), moreover snacks, drinks and movies are included. The biggest and most popular bus companies are Cruz del Sur (highly recommended!) and Civa. Wether you are fancy a getaway from the bustling capital or you are up for a relaxing holiday by the beach Mancora is the right place to go to. The tiny coastal village is famous for its long sandy beaches. In summer and during the weekend it gets packed as you can’t find many places in South America which offer such a good surf and are so budget friendly in matters of surf lessons. Mostly the capital Lima is the starting point for backpacking in Peru. Beside the sights you can explore in this metropolis you should checkout the numerous great restaurants as Lima is known to be the culinary hot spot of Peru. The most lively and for western visitors most appealing district is without any doubt Miraflores. Further down south, close to the city of Ica you have the chance to explore the dunes of Huacachina on a sandboard or even a desert buggy. The picturesque oasis right in the middle of this desert area makes up for some pretty awesome photos! Machu Picchu is one of the most visited sights on the planet – when in Peru you shouldn't miss it. Even though it is a pricey adventure it is worth it and there are many budget friendly ways like the Lares or the Salkantay Trek instead of the Inca trail. Beside Machu Picchu you should consider visiting an even larger Inca site named “Choqueqirao” if you are down for a tough but rewarding 4 day hike. The Inca Trail & Machu Picchu (7 days): the most popular tour in the region takes you not only on the impressive multi day hike along the Inka trail (4d/3n), you also go on a tour through the sacred valley, visit local community projects and sleep in comfy hotels before and after the trek. Accommodation, Camps, Meals, Porters, Permits, Entrance Fees, Transfers and local guides are included. The Lares Trek & Machu Picchu (7 days): this hidden gem is a great alternative to the crowded Inca trail and takes you on an impressive 3 day hike through stunning landscapes and combines it with a stunning train ride to Machu Picchu town – additionally you also go on a tour through the sacred valley, visit local community projects and sleep in comfy hotels before and after the trek. Accommodation, Camps, Meals, Porters, Permits, Entrance Fees, Transfers and local guides are included. I did this trek with G in 2017 and can highly recommend it – find the video below! The Salkantay Trek & Machu Picchu (5 days): The Salkantay Trek is often described as the most picturesque multi day trek (see parts of it in my video below) and the budget friendliest option in combination with Machu Picchu. Here you trek 3 days and get to sleep in comfy hotels before and after the trek. Accommodation, Camps, Meals, Porters, Permits, Entrance Fees, Transfers and local guides are included. Train to Machu Picchu & Tour (3 daya): if you don't want to hike at all, this option is for you. This three-day tour connects the guided visit of the Lost City of the Incas with a tour of the Sacred Valley and local community projects. Accommodation, some Meals, Permits, Entrance Fees, Transfers, Train and local guides are included. The starting point for most Inca sites including Machu Picchu is the city of Cusco, which is the tourist hot spot of Peru. The town itself is worth a visit as it has a beautiful old town and a big Inca site right next to it (with a good view over the city!). Cusco also has an international airport, if you prefer a cheaper option you should take the direct bus from Lima (22h journey) to get to this dominant place (count in some days to get used to the high altitude!). 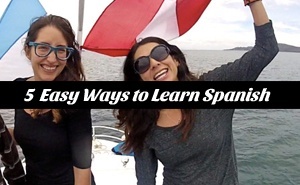 My video above is a very comprehensive guide for all things you can do in and around Cusco! The well-known Nazca lines are situated closer to the pacific coast inside the desert close to the city of Nazca. This series of ancient geoglyphs is best visible from high above therefore you should consider taking a scenic flight to take the best photographs. The budget friendliest option would be to take a domestic flight in our out of Ica which happens to fly over the area at daytime – make sure to check the route before booking! Arequipa is not as well-known as the popular sites but it is definitely worth a visit. Apart from the “white city” you should go there to explore the Colca Canyon – be it on a day trip or a multi day hike. If you are lucky you can spot the giant condors there. If you want to go for an even bigger adventure you should consider climbing the nearby Chanchani which is known to be one of the most 6,000 metre plus peaks in the world! At the border to Bolivia you should visit the Lake Titicaca which is the world’s highest navigable body of water at an altitude of about 3800m. Here the city of Puno is the starting point (but it is a pretty ugly town) for tours to the islands including the famous floating Uros islands. I recommend going for a visit to the islands of Amantani and Taquile where you can also spend the night with local families. From Puno you can easily travel onwards to Copacabana (which is actually the best option at the Lake Titicaca!) and La Paz in Bolivia. If you want to come well prepared the following are great resources for your time in Peru. Most of the books are available on Kindle for immediate purchase! The Lonely Planet for Peru covers the most popular things to do, comes with small maps of the covered cities/villages and gives recommendations on restaurants and places to stay. As all of the guides by LP it is a very comprehensive guide! Similar to the Lonely Planet also the Fodors highlights the best of Peru, including Cusco’s colonial charm, exquisite Inca architecture, and the magnificent Andes mountains. Their local experts vet every recommendation to ensure you make the most of your time, whether it’s your first trip or your fifth. This one is not a guide but a great suitable read for your travels in Peru. Turn Right at Machu Picchu is Adams’ fascinating and funny account of his journey through some of the world’s most majestic, historic, and remote landscapes guided only by a hard-as-nails Australian survivalist and one nagging question: Just what was Machu Picchu? 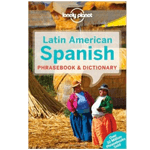 This Lonely Planet is also available as Kindle eBook and covers the highlights in Argentina, Bolivia, Brazil, Chile, Colombia, Peru etc. Essential info at your fingertips – including hours of operation, phone numbers, websites, transit tips, and prices. 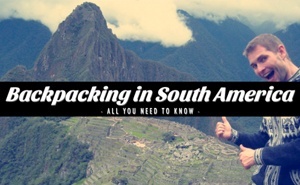 More tips for Backpacking in Peru? I created this travel guided based on my own experience with the help of some locals. Have you been and know of some more cool places to visit in Peru? Let us know in the comments below! Feel free to share this article with your friends or link to it from your website. Disclaimer: All opinions, recommendations and views are my own. This post contains Affiliate Links for services and products I’m using on my travels – therefore I can highly recommend using them. By using these links you won’t pay any additional fees!